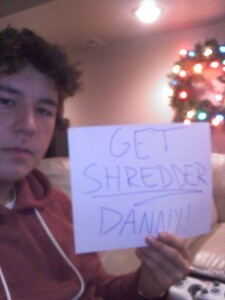 Danny Is the Bomb » Blog Archive » Get Shredder Danny! Keep sending the pics! The signs about Danny sent in to the site are awesome. email donations@dannyisthebomb.com or send the pictures to 603-496-6621.